First of all I would like to tell you a little bit about us. In February 2004 after our daughters graduated from school and left home, we purchased 4 Alpaca fiber geldings, it did not take long for them to steal my heart, that was when I decided that my future was in the fiber business and that was where the adventure began. Coming from a crafty family, it was easy for me to delve into fibery activities and I quickly learned about fiber quality, processing and cleaning. Then with growing enthusiasm I started taking classes in felting, spinning, knitting and everything that sounded interesting. My oh my, the things you can create with fiber!! In March of 2006 we brought home our first Icelandic sheep and it has been an exciting experience ever since. Take a few minutes to visit our Studio where all kinds of fibery things are explained. During my search for the perfect spinning wheel, I tested a Majacraft Rose and fell instantly in love!! The Rose spun so smoothly, treadled so easy and was so forgiving of my mistakes that I just could not see myself using any other wheel. So in January of 2008, I applied for and was granted a Majacraft Dealership. So now I can offer these wonderful spinning wheels and tools to you. Treadle on over to our Majacraft Store to see the wide variety of quality spinning products that we have to offer. A tour of our farm to ‘visit’ our fiber critters is always fun. We try to keep the pages updated with new and interesting pictures and articles about fiber animals. A visit to our Farm Store will allow you to purchase our farm grown wool, rovings and yarns as well as many other items. 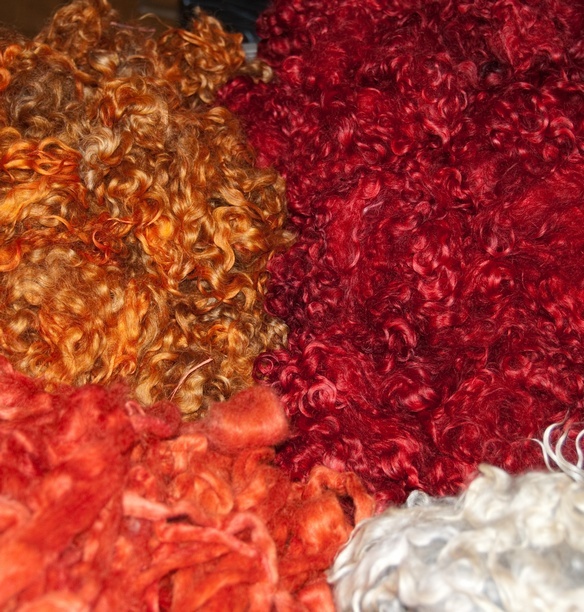 We carry a variety of silks (yarns and rovings) and other pretties that can be added to your projects for a unique look and feel. As fiber artists we offer unique hand produced products including yarns, batts, pre-felts and finished products. The variety is endless, so take a minute to visit our Farm Store to see our unique fibers and products. Last, but certainly not least consider adding Essential Oils to your life. As natures way of improving living and lending a helping hand to all life adventures and troubles, Essential Oils may be the key to your needs. This site is under constant construction. Always have bunches of new stuff to share.